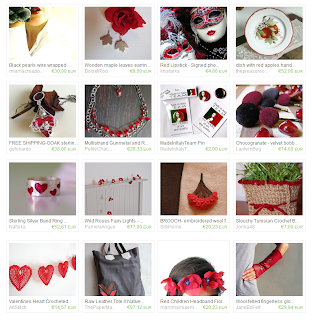 MIIT Treasury game leads you again into the awesome Made In Italy Team's crafts' world: Red Drops is the new Treasury list (Lantern Bug's Chocogranate's been featured again! ), check it out and share our creativity! wow thanks a lot for the feature!!!! !